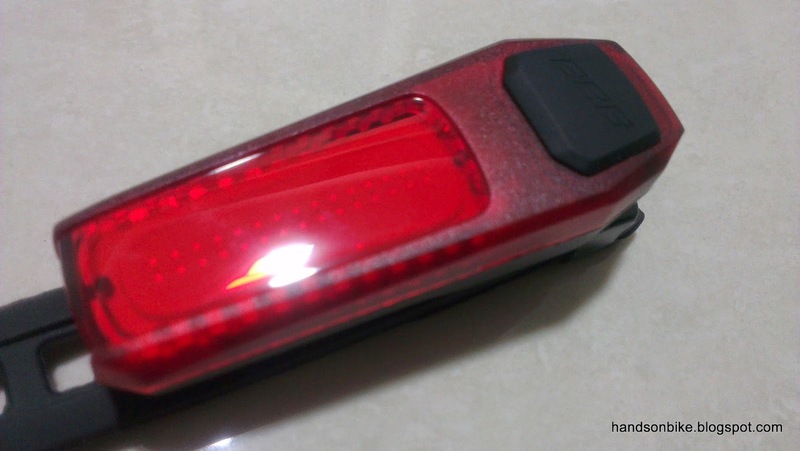 Yet another bicycle rear light! This one is interesting because it also uses a COB LED module that produces a warm organic glow. 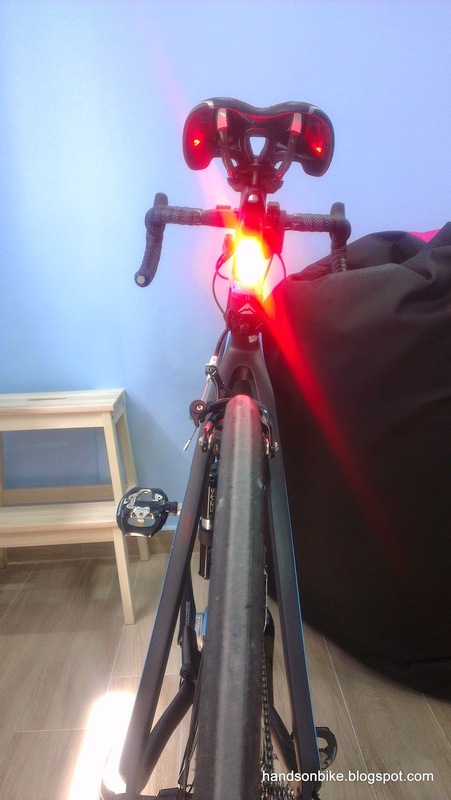 It should produce a light that looks like the Moon Comet Rear Light. 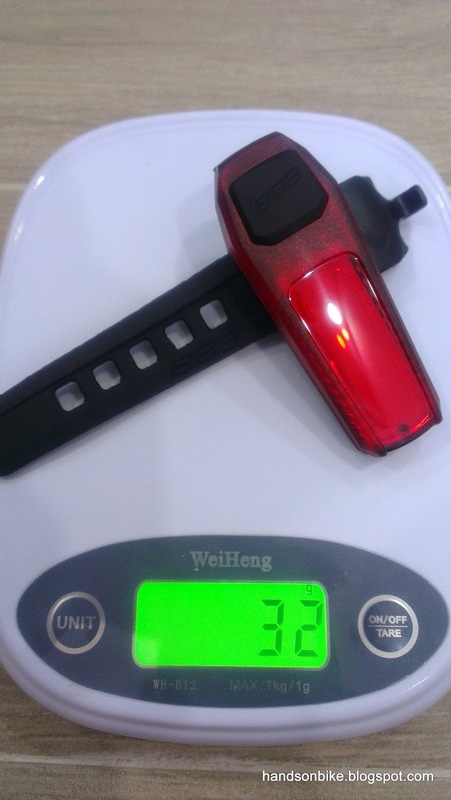 The main difference in the appearance of the light is that this light has a more low profile light mount as compared to the Moon Comet light mount. 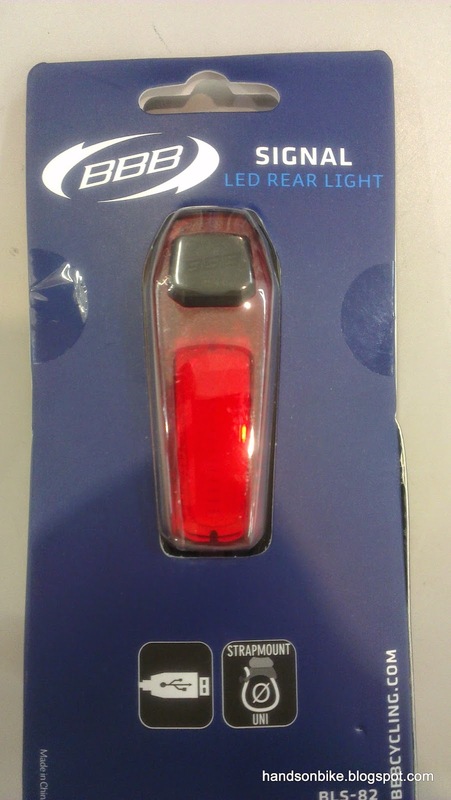 I am looking for a low profile rear light that does not stick out so much from the back of the road bike seat post, which is why I got this light to try out. 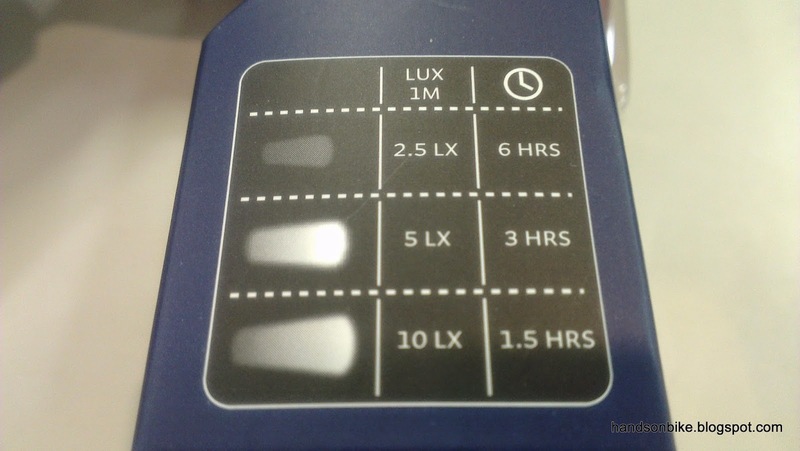 3 steady modes with the different brightness and runtime. I thought it had a flashing mode, but it doesn't. 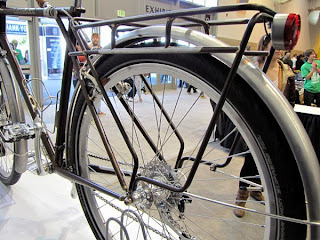 This is not good as I would much prefer to use a flashing rear light for better visibility. More detailed info about Lux, Candela and Lumen that I can't fully understand. 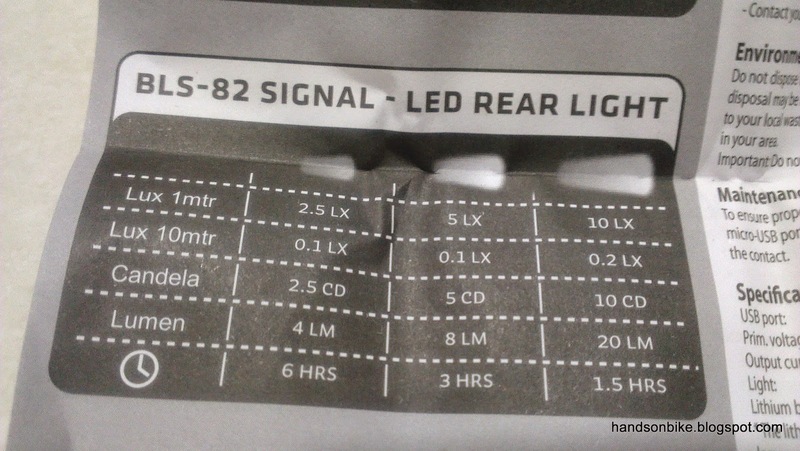 Very useful for comparison with other lights. 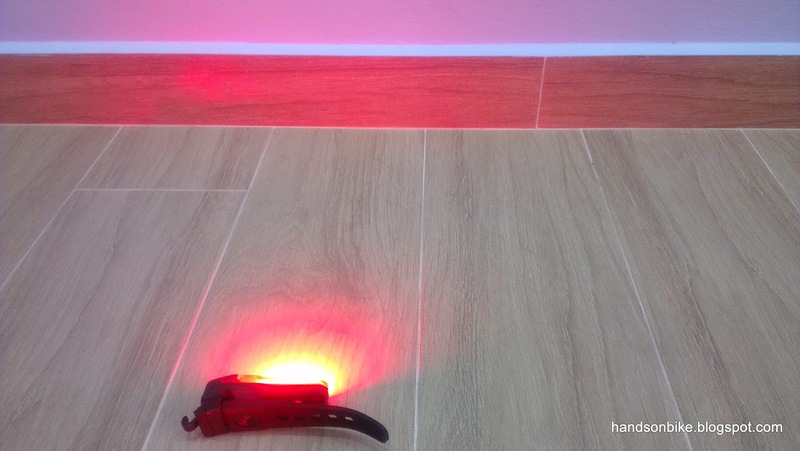 The COB LED module can be seen clearly under the red transparent casing. The black rubber is the only button on this light. Nice red glow! I really like the glow and it is rather bright too. Quite visible and bright when viewed from the back. 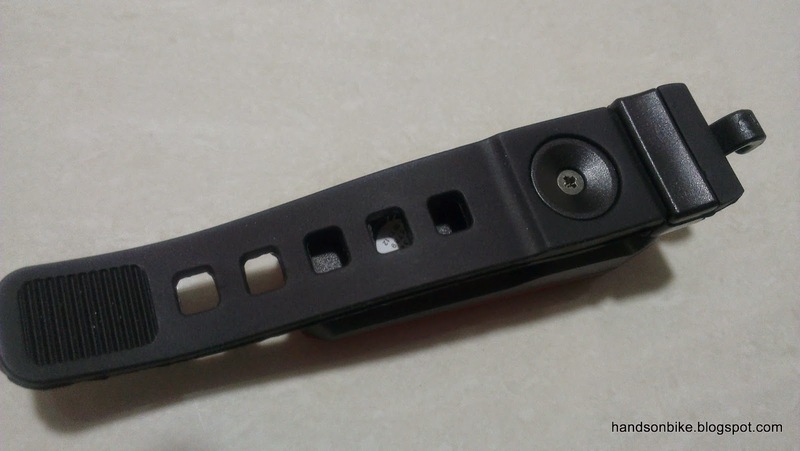 The viewing angle is very wide due to the COB LED design. 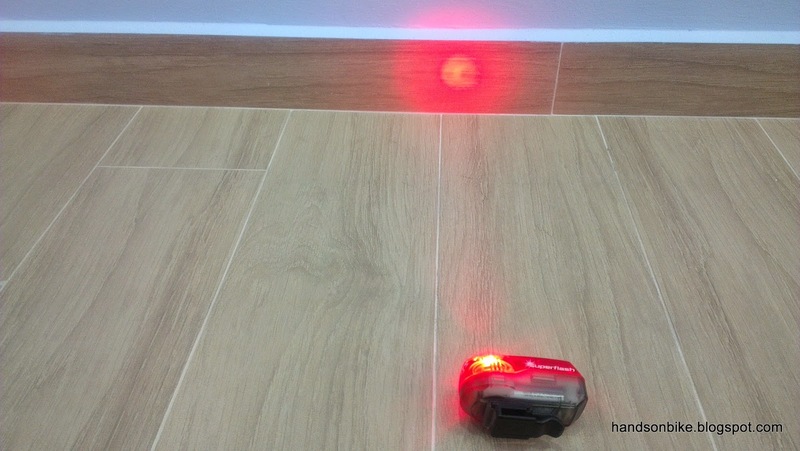 How is the brightness of this light compared to other lights? 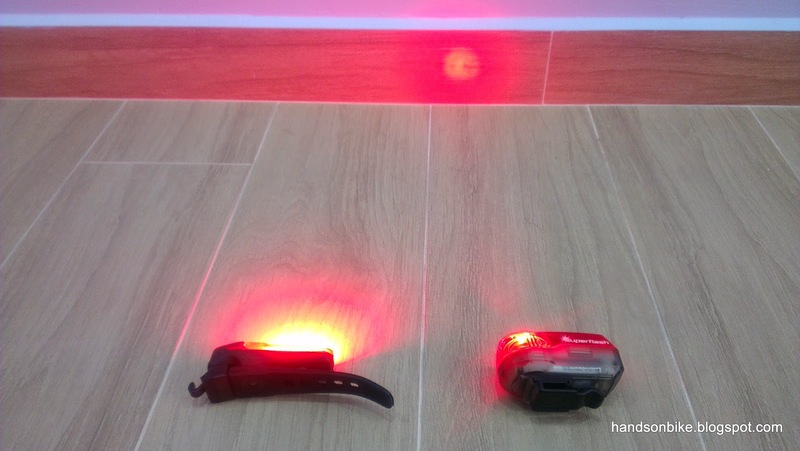 I used a Smart 0.5W rear light for comparison as it is a rather popular light and most people would have seen it before.See the pictures below for the brightness and beam angle comparison. All the exposure is kept the same by focusing on the same area when taking the picture. 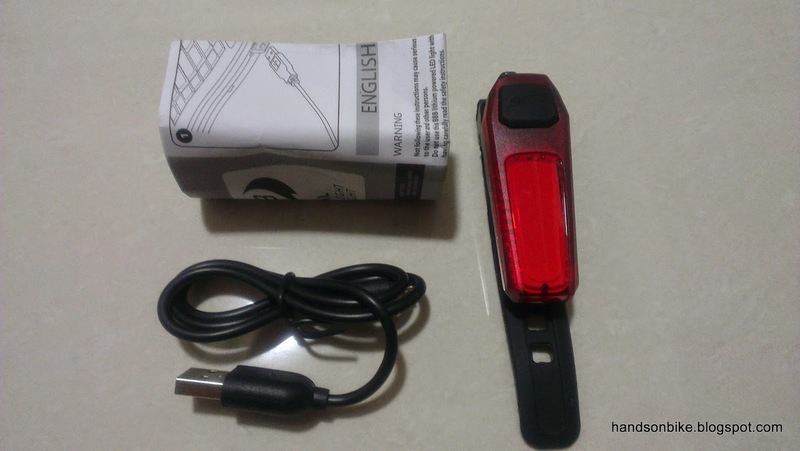 Smart 0.5W rear light. Very bright and focused beam. 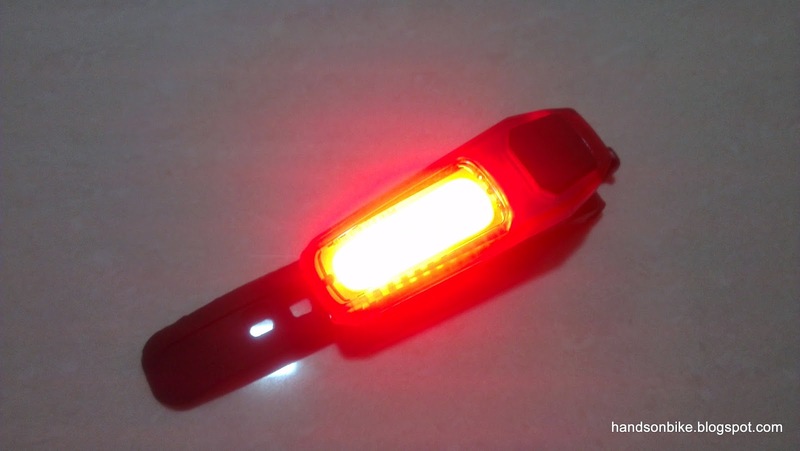 BBB Signal LED Rear Light. Wide, soft and diffused light beam. The two lights side by side. The BBB light wins out in terms of viewing angle and coverage, but the Smart light wins with its bright focused beam. Operating this light is very easy and standard. A long press on the button turns on or off the light, while a short press switches between the 3 modes. Charging is via a micro USB port. 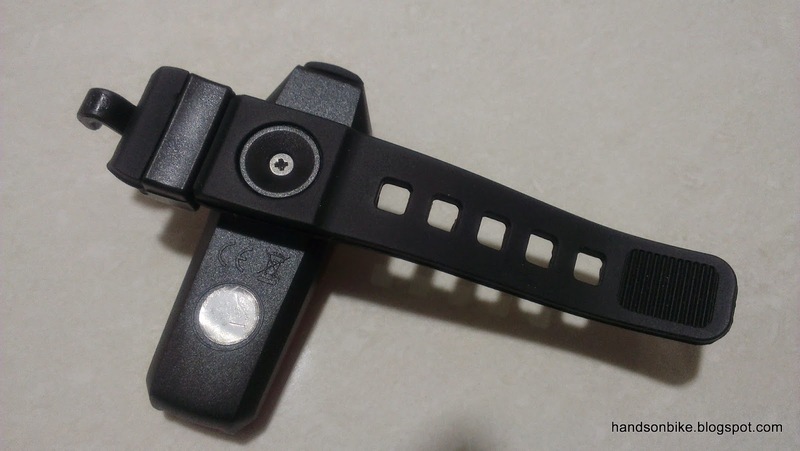 2) Short battery life. Only 6 hours at lowest brightness and 1.5 hours at maximum brightness. Overall, this is a nice light by itself. 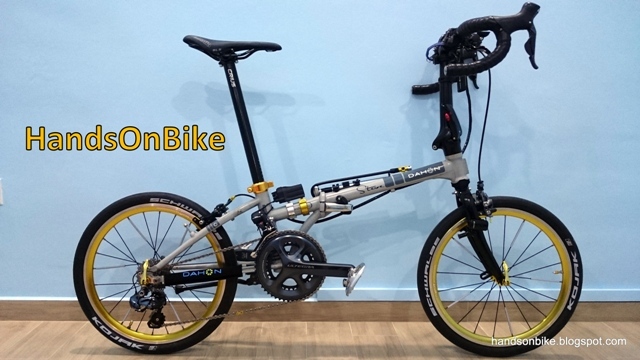 Lightweight and compact with a bright and wide beam. 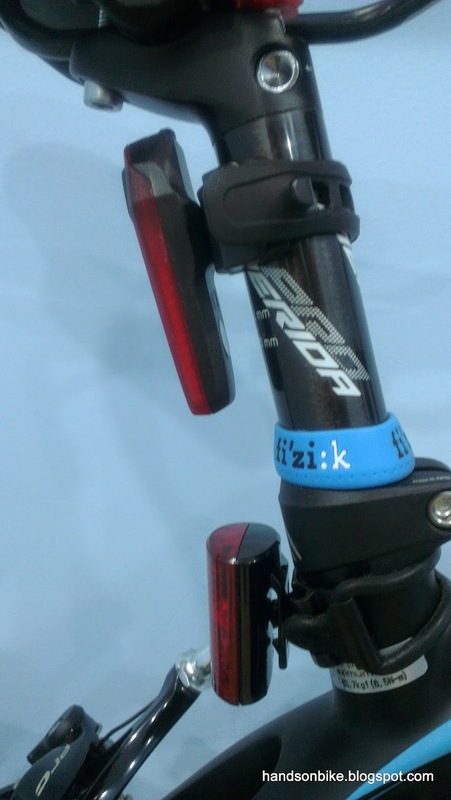 However, the main drawback is the lack of a flashing mode. This light is designed for some European markets which is why it does not have a flashing mode. 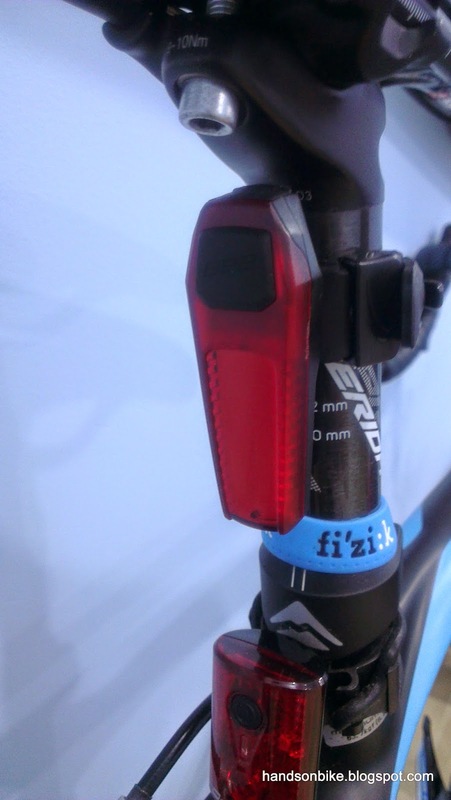 Without a flashing mode, it will not be as visible, which is why I will not be using it on the bike. 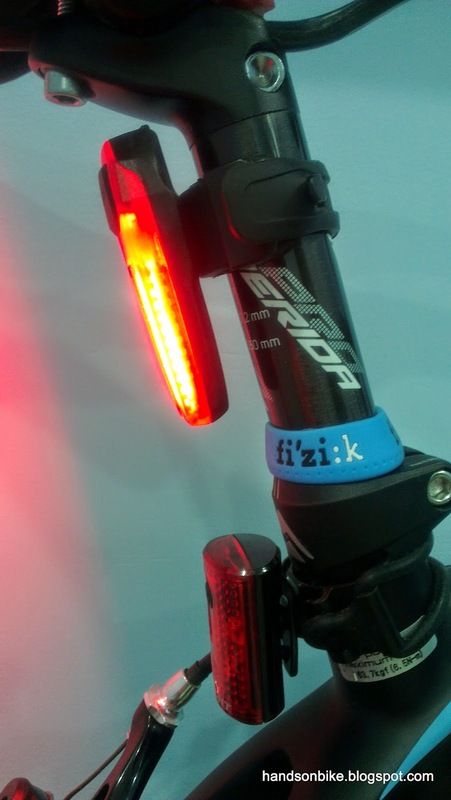 Will think of some other uses for this rear light.